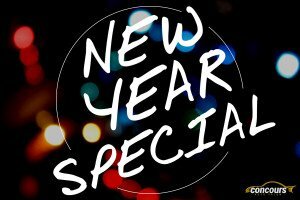 Our “New Year Special” will leave your car squeaky clean. Our process is thorough and complete. Your interior and exterior will be pre-treated, cleaned, and conditioned with the latest products and tools for the best results. This is a list of things offered in this affordable exclusive detailing package. Vinyl, Plastic and Leather Conditioned With A Water based, Non Greasy Conditioner. Do You Like A Shiny Car? No ever said “My Car Is Too Shiny!” right? When you see a car that has been polished correctly and coated with one of our “Nano Coatings” you will say Wow! Waxing a car is only temporary. It will last you a good month. Then it’s gone. A paint sealant, 6 months tops. A good Nano paint coating will create a semi permanent barrier. This barrier will last two to five years depending on how it’s cared for. Nano coatings are designed to Enhance paint gloss and lock in the Shine. When Is The Best Time To Detail My Car? Any time is a good time. The best times however are leading into the winter months and the spring time. Detailing your car leading into the winter months allows the Nano Coating to protect your cars finish during the harsh months of the year while at it’s strongest level of protection. The spring time detail allows us to decontaminate the interior of germs and the exterior of road contaminates. This package requires a full day for all of the services to be completed. Please be advised that the condition and size of your vehicle may add additional time and charges.